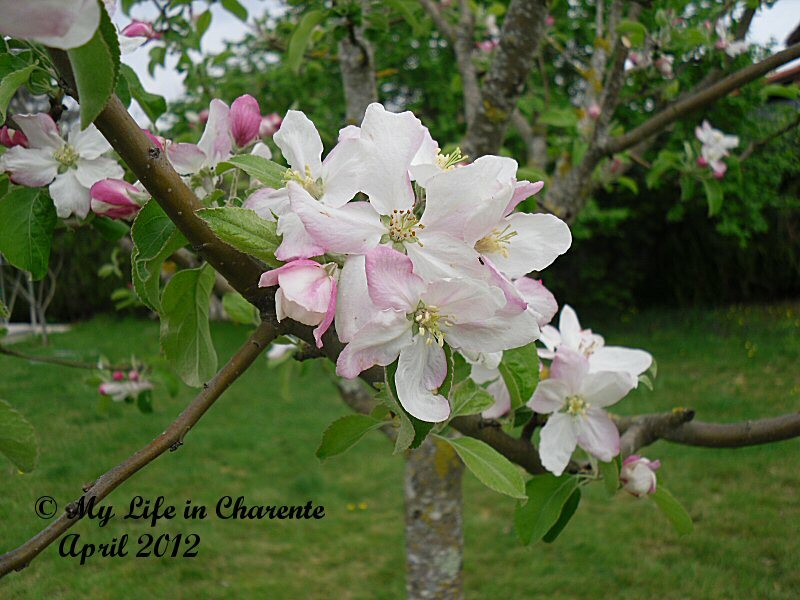 My Life in the Charente: Around the Garden, Weeds and All ! 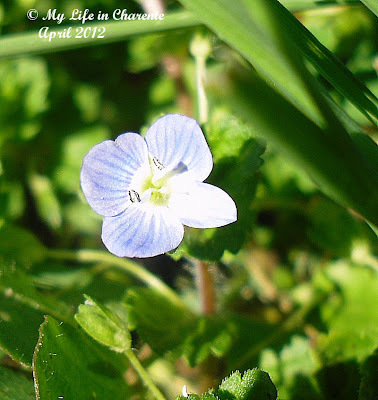 Around the Garden, Weeds and All ! I have put a few plants into the 'Mushroom Garden' (see HERE), and having had some rain in the last few days, I hope they will get established. As you can see, the grass is growing well around the bed, but it is too damp at the moment to cut. 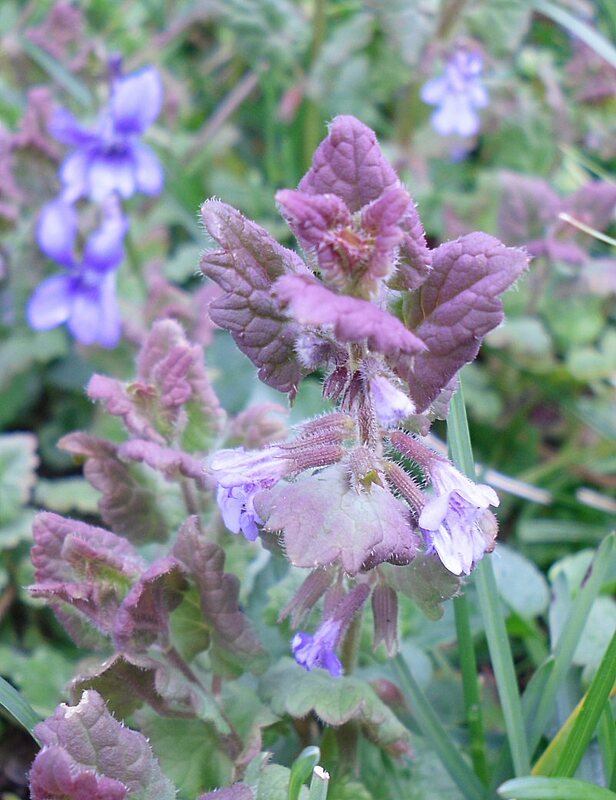 I have put in lavender, and some succulent-like plants, as the bed is in full sun and does not get watered as much as the vegetable garden, so I hope these species will be suited to this drier environment. This shrub was only bought last year and we hope it will grow quickly to hide a neighbour's wall. 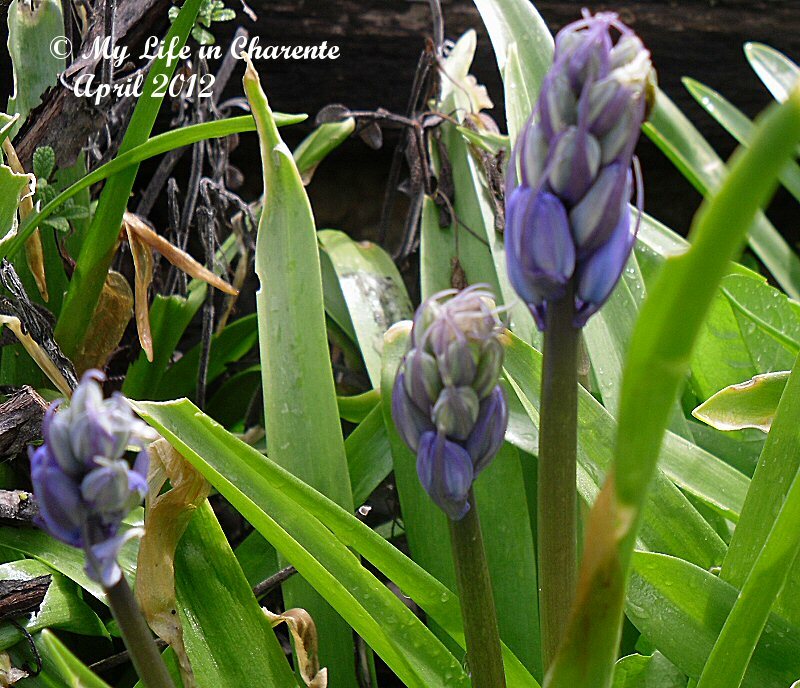 The bluebells are not quite ready yet which I am happy about, as I do not want the white and blue to cross pollinate. 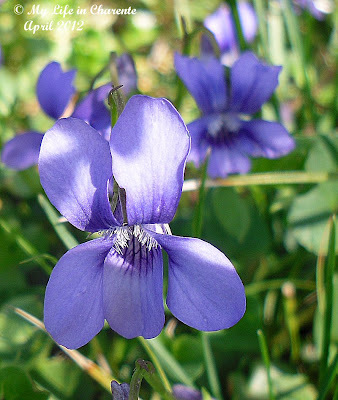 Also plentiful in the garden are the uninvited flowers, some pretty, and I am happy to see like the violets, but others like the clover I can do well without. 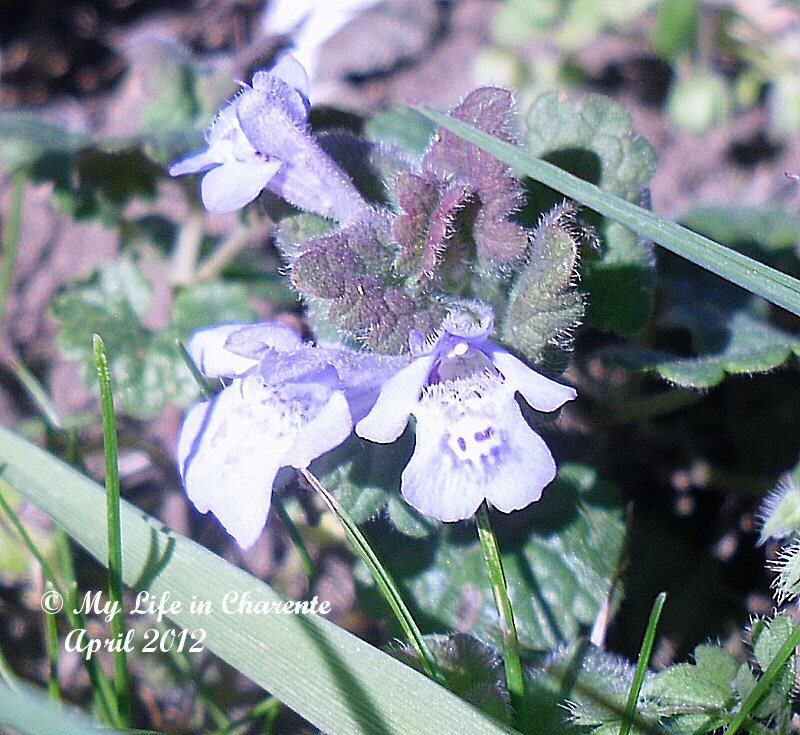 I think this is ground ivy, it is very widespread! 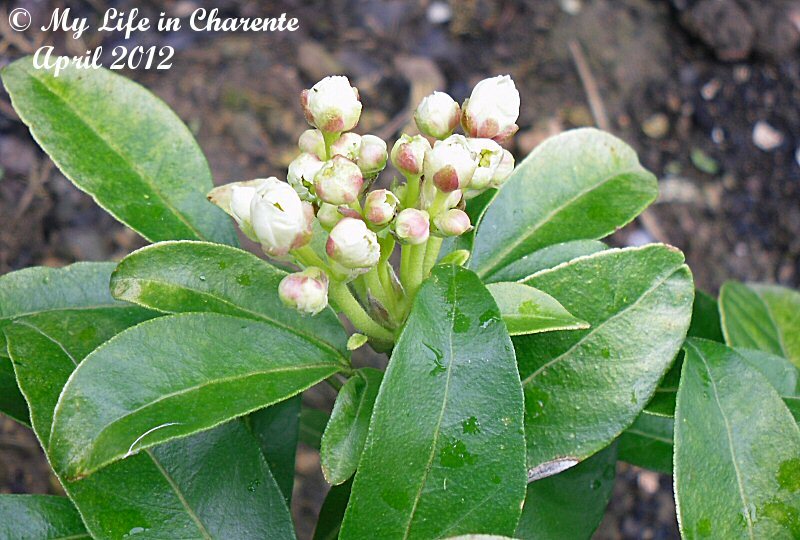 I am not sure about this one, and I cannot relocate it in the garden to check the leaves! Violet family, this one was quite dark; others are much lighter, but we have quite a carpet of them. Finally a mystery new arrival; the flower is very tiny, barely 5mm (1/4 inch) in diameter and the plant is spreading rapidly!! Diane, your flowers and all look beautiful! You are way ahead of us with flowers blooming. We have cut the lawn a couple of times which we've never done this time of year but now it has turned much cooler and is below normal. Good luck with your lavender! I love it and have tried to grow it many times. Evidently, it is just too cold in the winter here for it. Have a great rest of the week! 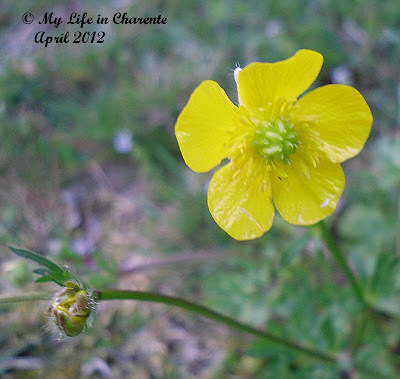 Great flower photos, your Black Poppy looks like a Tulip to me. Have a wonderful week. Nice to see your Mushroom Garden again Diane - I see on Sky News that some parts of England are experiencing a drought - is it the same in France? ... and the Poppies ... are they Opium poppies or a different variety? This really is the most wonderful time of the year with so much promise and everything, as you show here, looking so pretty and fresh despite an absence of much needed rain everywhere. Graham, we had a drought last year and this year the farmers are already on restricted days for watering. So far we have not been effected, but it could well happen. The last few days we have had about 20mm all-together but I suspect that is about all we will get. It has just made the lawn too wet to cut. Drought is certainly expected again. Everything looks beautiful! Your mushroom garden is most charming, and I can't wait for everything to grow up and fill the space. Oh I so enjoyed the stroll around your garden! LOVE that mushroom garden it really looks like a gaint mushroom - but prettier - what a great idea! All those lovely spring blooms Almost make me wish I wasn't in the high desert. 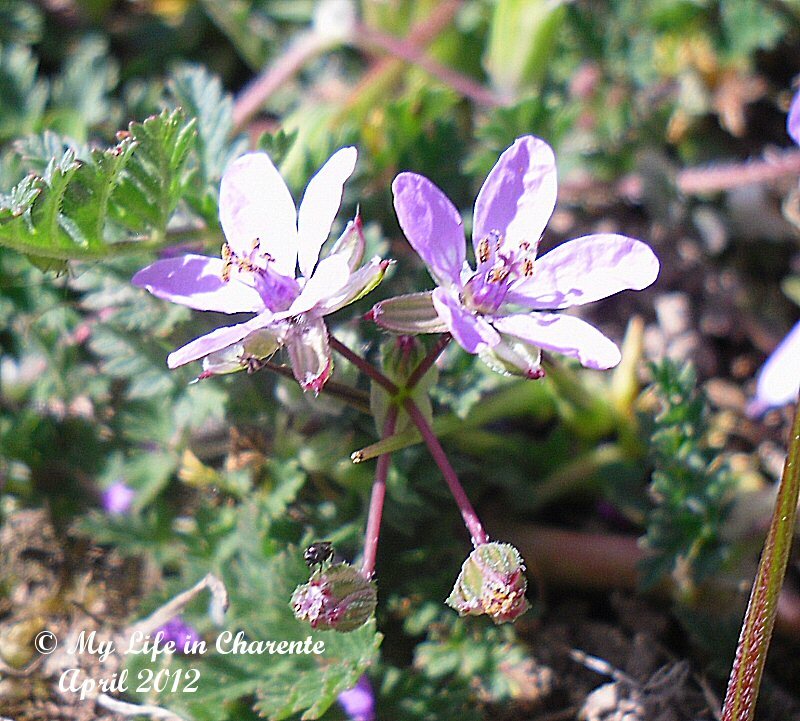 I won't see flowers until at least May at the canyon. Your gardens are wonderful. I've just been pondering your mystery plant and I'm not too sure. It's not a form of chickweed is it? The tulips look great. 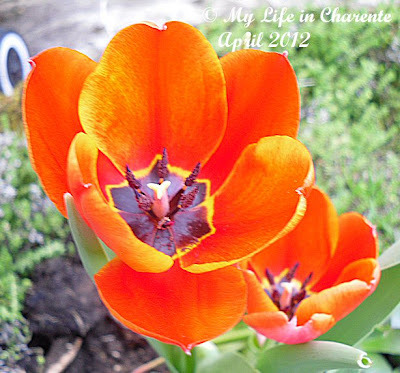 In the strange weather we've been having this year, our tulips have flowered early and looked lovely. Sadly, that's not true of all the bulbs. Your flowers are gorgeous. I hope your new flower bed does well. What delights there are in your garden, Diane. Your garden is blooming wonderful. Everything looks beautiful in the garden already! What a stunning mix of flowers, I'm quite unlucky, anything new that I've put in has died a death and never popped back up. But I've cleared a little area to try to plant up a mini white Sissinghurst. 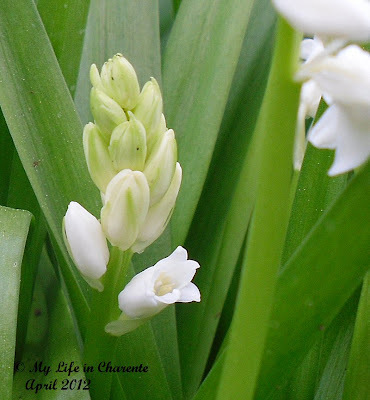 I had a lot of bulbs rot when we had the very cold spell here, and then it was so wet when all the snow melted. My crocus have come up but there is not, as yet, so much as a bud on them which I find odd. Tabitha, generally most things seem to grow for me, the problem is always the bugs that eat them!! 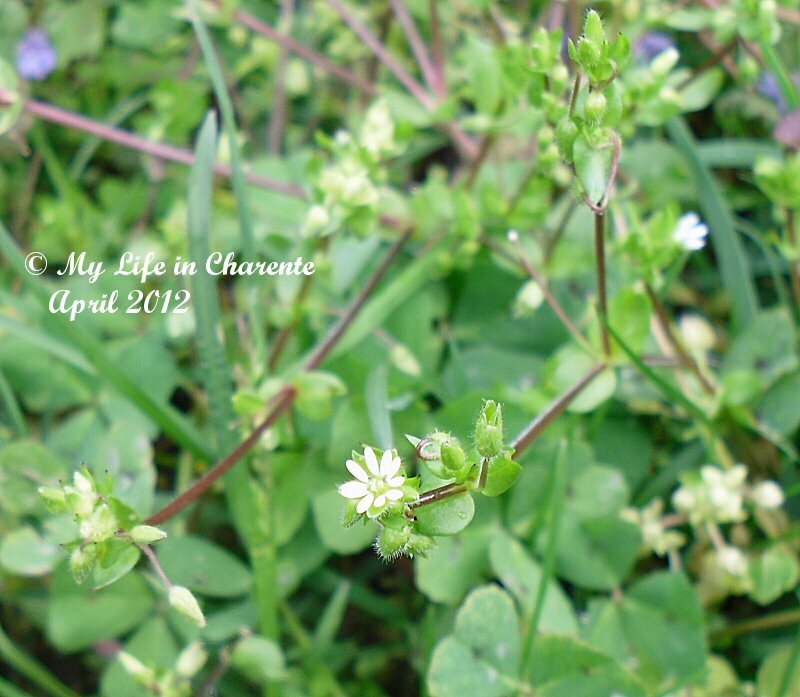 I white garden will be beautiful, I hope it grows well for you. All your posts are alway lovely, bu I have to admit - walks around your garden are my favuorite. And this one just hits the spot. Come warmer days of spring and summer, no doubt you will spend many happy hours there. Just lovely. Spring has definitely sprung! Such lovely photos, they take my breath away! It looks like you have a lot of fun in your garden! Diane, your mushroom garden is soo beautiful and I'm hoping that you'll keep us posted with its growth. 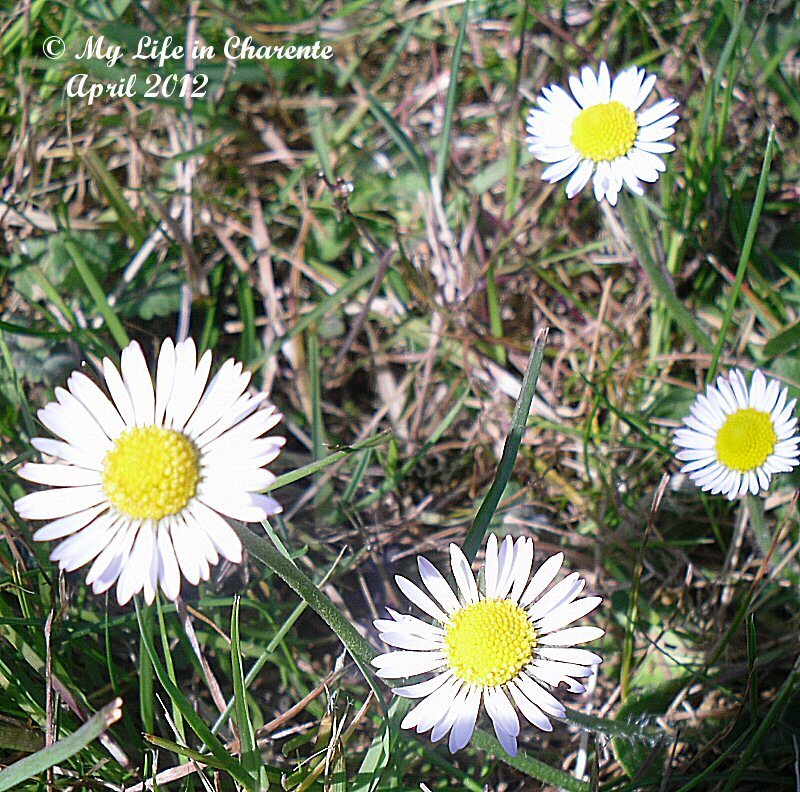 Have a great spring..
A lovely glimpse into your garden, I like the new bed you have made. 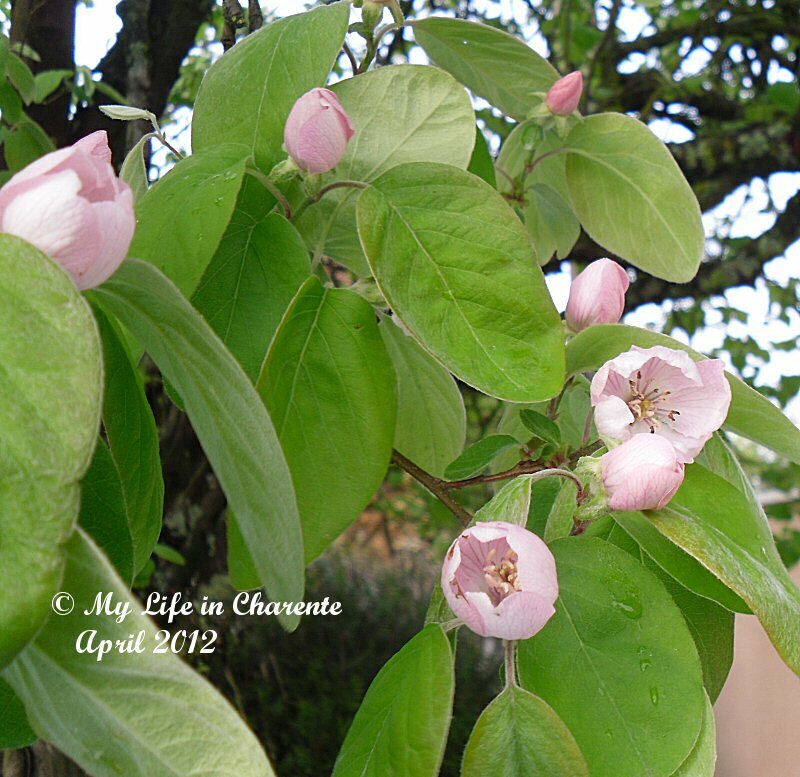 Our quince is also just coming into flower this week. These flowers are amazing. I love flowers and we have little room to even put in a small patch of them I am glad, I can come here to appreciate them. bookcasefoodie thanks for the visit and for the kind comment. I hope now that summer is on its way there will be more and more garden posts. I also love flowers, one and all. Amazing yard! I love your mushroom garden - so cute! Le printemps dans un jardin joliment fleuri: c'est magnifique!! J'aime particulièrement les fleurs du pommier! La Véronique est la Véronique de perse, tres jolie petite felur d'un bleu très doux! Diane your new pic is so pretty. Love the hair. Beautiful blooms. 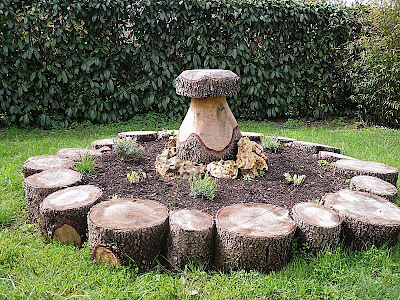 I love the mushroom garden and how you placed the tree stumps around the perimeter. You have a lot going on in your gardens. 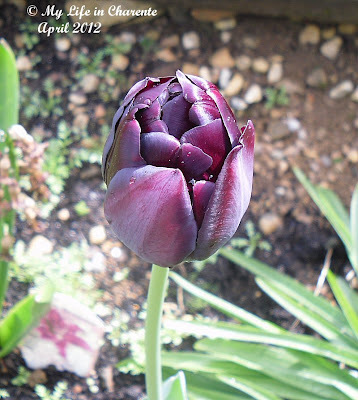 The "black" tulip actually looks deep purple, and should be fabulous. All of your flowering plants and shrubs are beautiful. I hope that one near the neighbor's wall spreads quickly for you. Merci de mettre le printemps à portée de main. magnifique! Diane - A very pretty post! You have an amazing array of flowering plants. Enjoy the season and have a great weekend. The flowers are beautiful. I have one little blue flower so far! 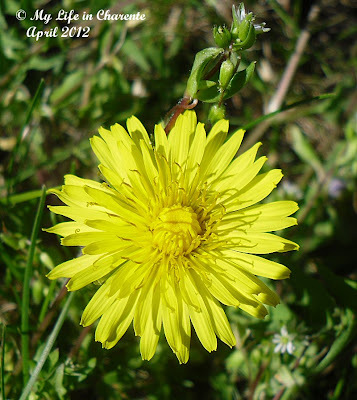 I love seeing all the spring flowers, even the dandilion, we don't have that here in Florida. Our spring is different, but we do get the orange blossoms in March and my mango is finished blossom and tiny little mangoes are all over the place. The Jasmine is in full bloom and smells as good as the orange blossoms did. Thanks for letting us take a walk in your garden. Diane, these flowers are beautiful as are your photos of them. I love your new profile pic too! I have some lavender bushes doing well and tried to plant some more but our weather has just been all wrong for lavender this season - too much humidity, rain etc and sadly when I checked this morning all the new plants had died. 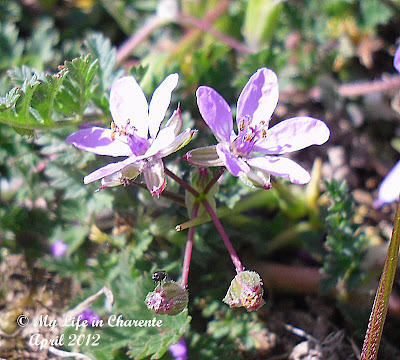 Hi Diane .. beautiful photos and thanks for posting names for the plants .. most I know - but can't help with the others. I'm sure your mushroom bed will fill out very quickly as the Spring toddles on! Thankfully we've had some rain - probably not enough, but something for the gardens .. The choisya is amazing isn't it - and I know that it fills out and provides a healthy leaf and flower cover .. that wall will disappear in no time ..
Hilary I am looking forward to the mushroom garden filling up with some colour. oh Diane I love all these flowers look amazing!! 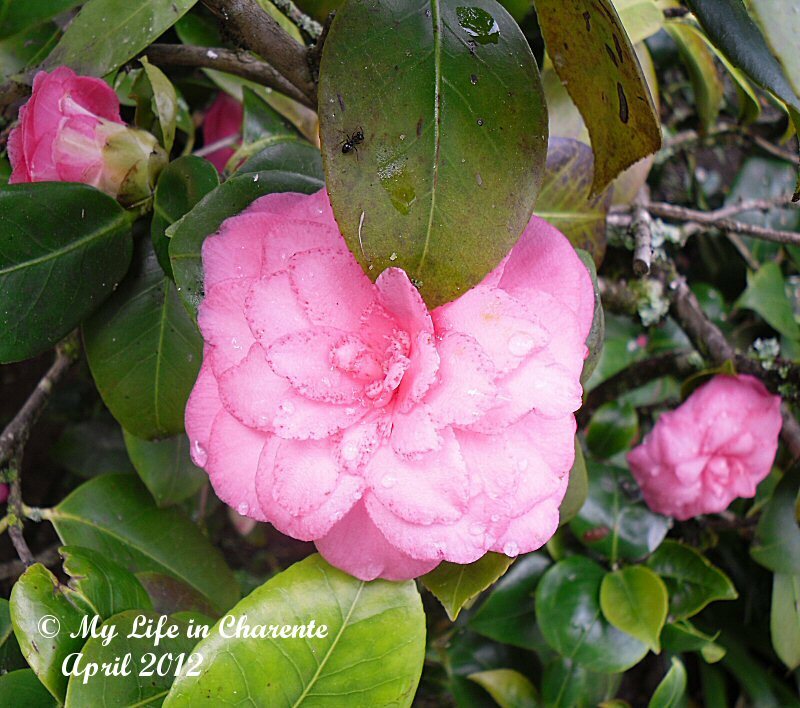 I love camellias !! Comment sont des fleurs délicates. Les couleurs du printemps doux de la nature. Le plus beau moment de l'année. Sincèrement, Peter. Your garden must be looking lovely with all of those very pretty flowers you have there. I really love your mushroom garden - very unusual - I hope everything in it grows well for you. Happy Spring to you! Here is Autumn! petrolin50 yes it is a beautiful time of the year, but I like it just a little warmer :) Take care. Beautiful European flowers, I love the buttercups. lavender and succulents will be fine in a hot dry spot. I can practically smell their aroma! I love the idea of a mushroom garden, brilliant! hi diane, i love seeing all these flowers, they are all so pretty especially the apple blossom..you're quite good identifying the flowers, huh? Really awesome post from you...well done!!!!! 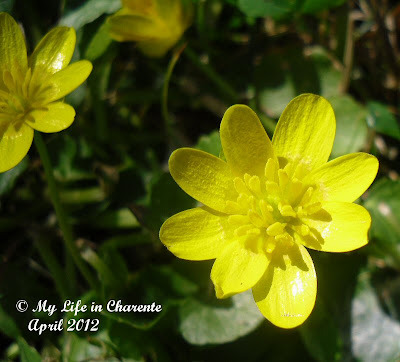 Your photos and your garden are beautiful!! !